Puddleby Art sponsors special breeds show. 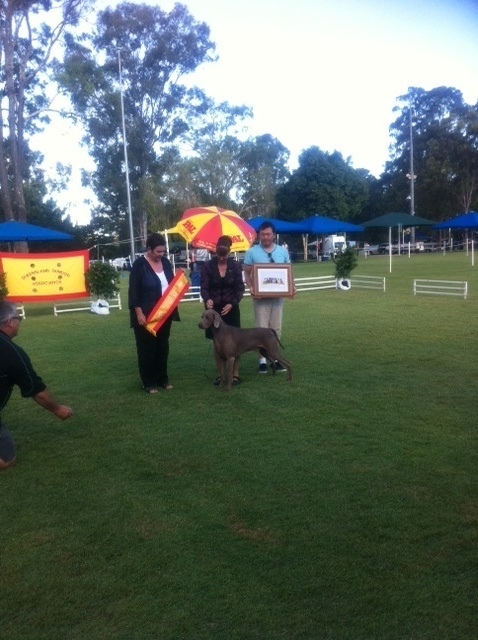 As part of our commitment to supporting those who support us, we were proud to sponsor the Queensland Gun Dog Club’s recent show at Durack on 10 March 2012. We provided a lovely framed print that was presented to the winner of Best In Show. Here we are presenting the winner with her prize.